As we all know, asset are resources we have or we control that are expected to produce economic value in the future. In the business world, assets are generally owned to benefit or to increase business value. According to its function, asset are divided into several categories that can be used for various purposes such as accounting, taxation or to measure the value or financial health of an entity. Tangible assets are an asset that has a physical existence. Examples of course such as money, stocks, bonds, property, vehicles, buildings, land, inventory equipment, precious metals and so forth. Intangible assets are the opposite of tangible assets. Intangible assets are asset that have no physical existence. Examples: patents, goodwill and trademarks. Financial assets are asset that have value based on the contract. Examples are cash, stocks, bonds, and derivatives. Fixed assets are a long-lived asset that can not be easily converted into cash. Examples are property, building, equipment or furniture. In addition, the value in fixed asset usually always decreases from time to time or commonly known as depreciation. Current assets are assets that can easily converted into cash such as stocks, inventories, securities, short-term investments, fixed deposits, bank balances and so on. Current assets usually have a shorter life span than fixed assets that can last for a longer periods. Managing assets will be a challenge in itself as your business grows. 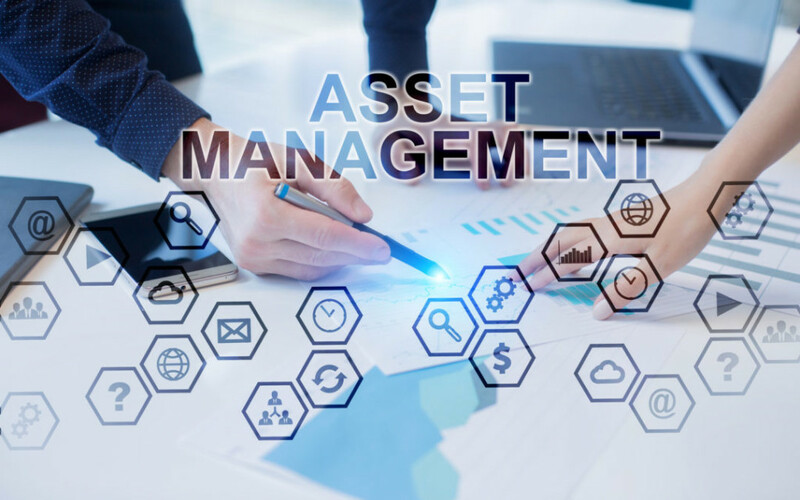 Surely you already know that managing assets has challenges that are potentially capable of causing significant financial losses for your company. Here are some tips you can use to be able to manage your assets well. Without accurate depreciation tracking, you can not pay your tax and insurance fees properly. Ideally, your asset management software should be able to ensure accurate depreciation calculations. 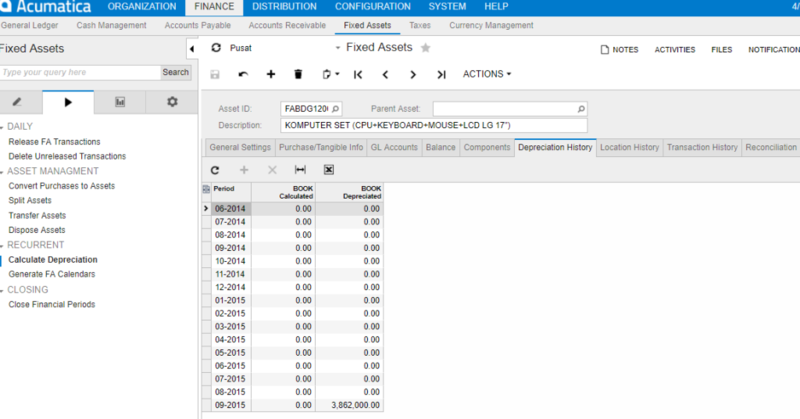 In Acumatica ERP depreciation can be set according to categories of asset such as land does not need to be depreciated and for inventory or vehicle, you can set how long the period of depreciation you want. Setting a strong and accurate baseline will be an important point for your business. Make sure that all assets have been entered into their respective catalogs. That way you can reassure that there are no more ghosh assets in your business. These are the kinds of categories of asset and how you can manage your asset well. 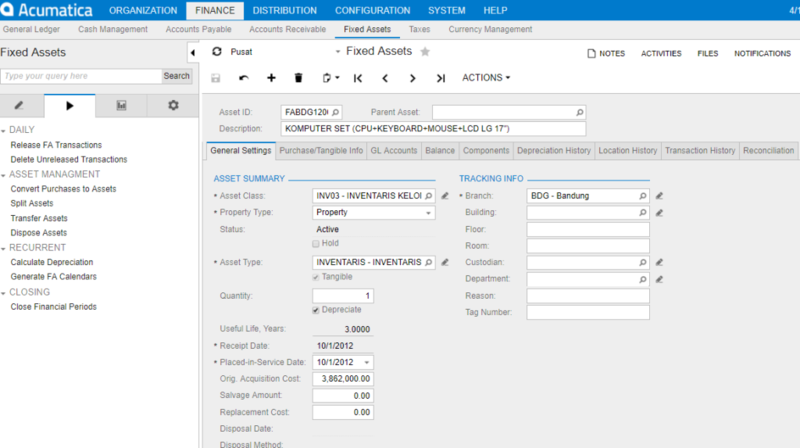 Broadly speaking, by using help from software such as Acumatica Cloud ERP, you can maximize and optimize the management of assets owned by your business.